Where wastewater and rainwater are used to nourish wetlands and irrigate a perennial landscape garden at Rodale Institute. 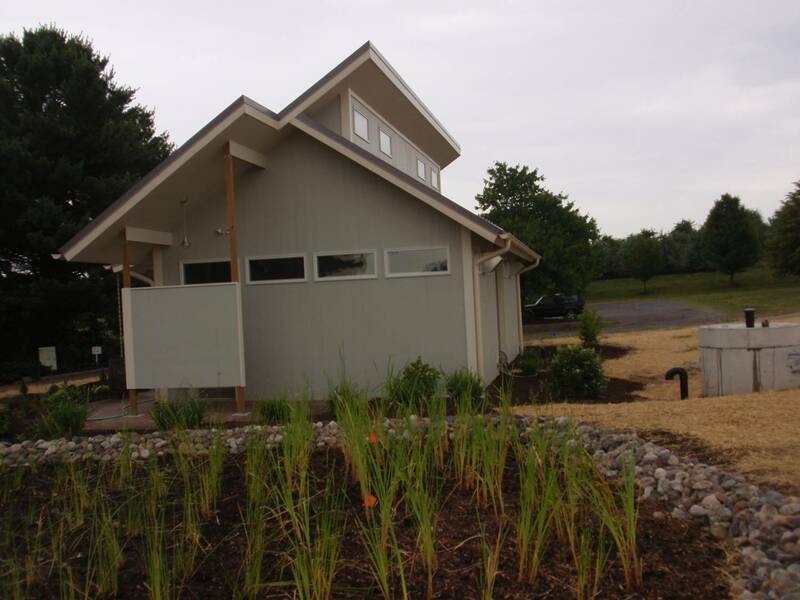 Garvey Resources is proud to have been a partner on the team that developed the concept and design of Rodale Institute’s innovative Water Purification ECO-Center (WPEC), a wastewater/stormwater reuse and constructed wetlands facility, at their new Visitor’s Center. 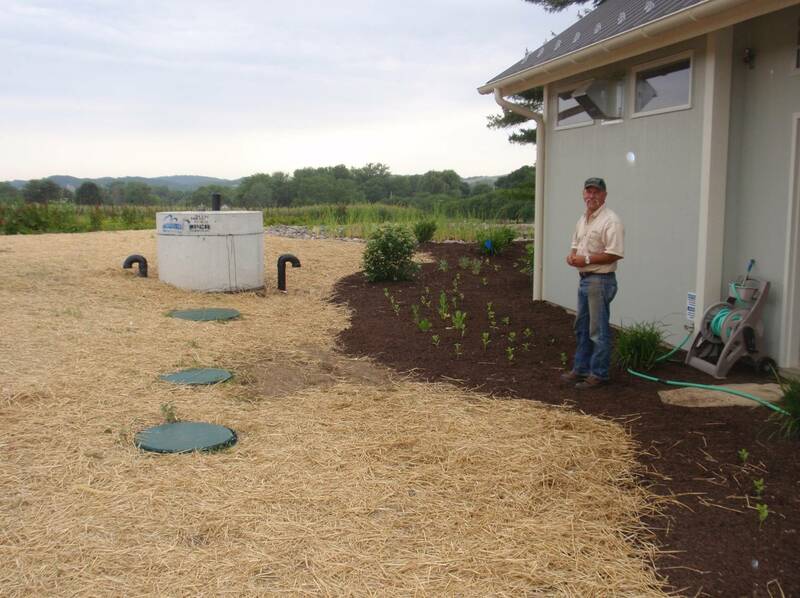 Dedicated on June 16, 2011, this revolutionary on-site wastewater treatment and reuse system, developed by Rodale’s team and funded by the EPA, PADEP and Rodale Institute, utilizes septic waste as a resource. The WPEC design uses constructed wetlands as a natural and efficient way to provide sewage treatment. 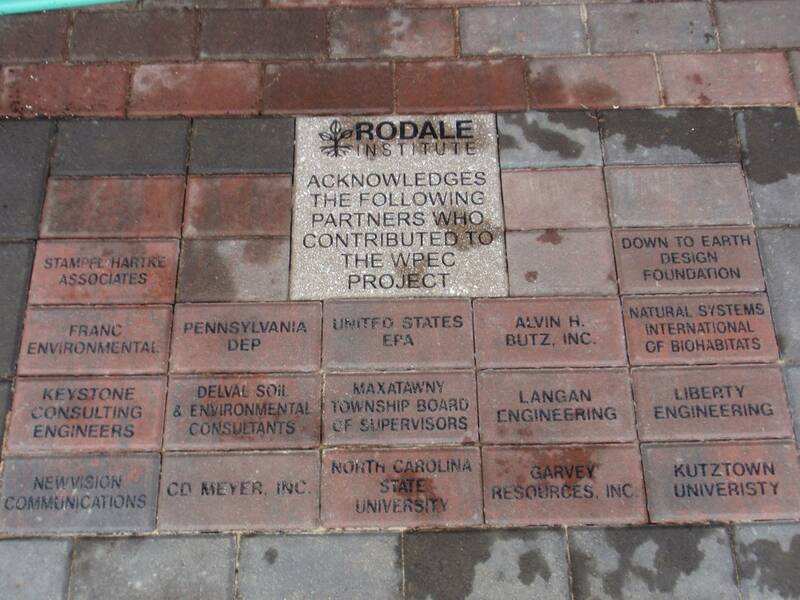 The technologies used here, along with the outstanding educational facilities at Rodale, give this project the potential to effectively demonstrate, to a broad audience, ways to treat and recycle stormwater and wastewater in a manner that will improve land use practices. Since the Rodale Institute is a not-for-profit agricultural education center, educating the public about water stewardship is an important part of their mission. The basis for any water lesson lies in understanding the workings of the hydrologic cycle. Rainwater which falls on crops, for example, soaks into the ground where it eventually reaches the water table. It moves through this to streams or rivers where it evaporates to form rain clouds. But with the WPEC system, rainwater takes a slight detour in this cycle. 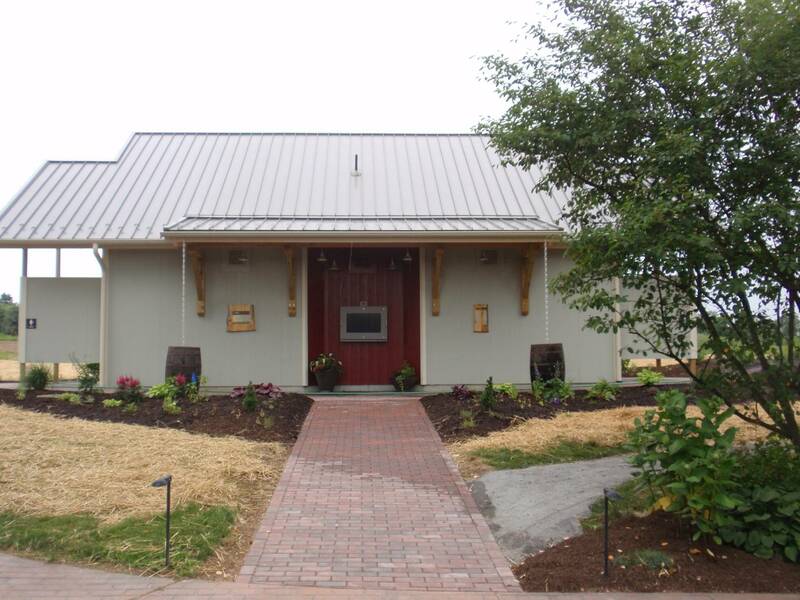 When rain falls on the Visitor’s Center, it is collected in cisterns under the building and is used to flush the toilets. After flushing, the wastewater flows into a storage tank where the liquid and solid elements are separated. The solids decompose while the liquid is sent through the constructed wetland area adjacent to the building. Here, the natural processes of wetlands plants and microbes clean the water twice as well as that of a traditional septic system. From the wetland, the clean water then flows to a subsurface drip irrigation system in the perennial beds, watering and fertilizing the plants. As the water seeps through the ground, it is cleaned even more so that, by the time it reaches groundwater level, it has been purified. In fact, it has been shown that most organic contaminants and pathogens are removed within the first two feet of soil. Sampling equipment is included in this design to enable Rodale to collect data on the performance of the system. Unlike conventional septic tanks and sand mounds used for on-lot treatment, this system does not need deep and well-drained soils (which tend to be prime agricultural soils) so it could be used on building sites that do not pass the “percolation test” for conventional treatment. If this technology becomes more widely used it could contribute to the preservation of farmland. The simplicity and passive design of this system has great appeal. There are no moving parts, except for pumps, so there is very little to maintain. Constructed wetlands, although little-known by the public, have proven to be an incredibly cost effective, energy efficient, and reliable method of treating wastewater. Part of Rodale’s educational component will be using the WPEC as a learning tool to help visitors rethink their current views about water use and treatment. Rodale’s reputation for sound scientific study adds credibility to this lesson. We are pleased and proud to have been a part of a project that has the potential to significantly impact the way the general public views wastewater and its reuse. Congratulations to the Rodale Institute for leading the way. This entry was posted in biosolids as fertilizer, biosolids management, biosolids treatment, constructed wetland, Garvey Resources and tagged biosolids as fertilizer, biosolids management, biosolids technology, constructed wetlands, land application of biosolids, percolation test, rainwater reuse, recycling, Rodale Institute, sand mounds, septic tanks, sewage treatment, valuable resource, wastewater treatment, WPEC. Bookmark the permalink.